Just Ask, Don’t Hesitate! Sankalp is excited to answer all your queries in the next AMA Session! We, at LALA World, always value transparency and are keen to reach out to people directly. And this doesn’t mean hiring a bunch of people for community management. As our very first (Ask Me Anything) AMA session turned out to be a huge success, we’ve decided to host another exciting AMA session with our CEO & Founder – Sankalp Shangari. Transparency runs deep into our roots and is the guiding principle of whatever we do! This ideology has been driven aggressively by our top managers and leaders. This is one of the many steps that LALA is taking to ensure transparency, and we firmly believe this small step would help you to open your hearts and further strengthen the bond between us. You can ask anything regarding the LALA World’s vision, future of Blockchain technology, and so on. In short, you can ask anything about the decentralized economy. With this #AMA, we are trying to clear all your doubts & concerns, and address them in a detailed and transparent way, in front of the whole world. 1. Click here to visit LALA World Subreddit #AMA thread. 2. Ask your question in the comments thread. 3. At the “end of the week”, the top 10 most up-voted questions will get answered during the AMA session. We want to thank everyone for the continued support. We are persistently working towards our mission of a LALA powered global financial ecosystem and inching toward decentralization. We hope that this AMA session will bring more transparency to our LALA community. Note: Do subscribe to LALA World Subreddit to get updates of all the happenings on the AMA session. We hope that after this session you would have a better understanding of the product roadmap, partnerships, present status of the product, exchange listing etc. Our goal for conducting this session is to dispel all the doubts and misleading facts/news since your confidence in LALA World and in its vision means everything to us. Thank you for being part of this incredible journey! There are only a few promising startups that are using Blockchain technology to solve social issues and let’s face it, the world needs more of such zealous entrepreneurs with a clear goal to make a difference in the society. Talking of such organizations, BlockSocial is a platform that stands for “Blockchain for Social Impact,” and gives the space to talk about groundbreaking ideas in the domain of social entrepreneurship through Blockchain. It is an invite-only event build to promote networking and connectivity among the like-minded individuals who are working to apply Blockchain for social impact through their Blockchain projects. Being a pioneer of social upliftment through technology, LALA World intends to promote the idea -“Technology with a Purpose.” With BlockSocial, LALA World is embarking on the journey to attend a series of events, planned to span out across the world. These events would help in identification of technological advancement in Blockchain domain, aimed towards solving problems of the marginalized group. BlockSocial’s objective is to establish a global community of investors, entrepreneurs, legal experts and business heads, sharing a vision of compassionate prosperity. 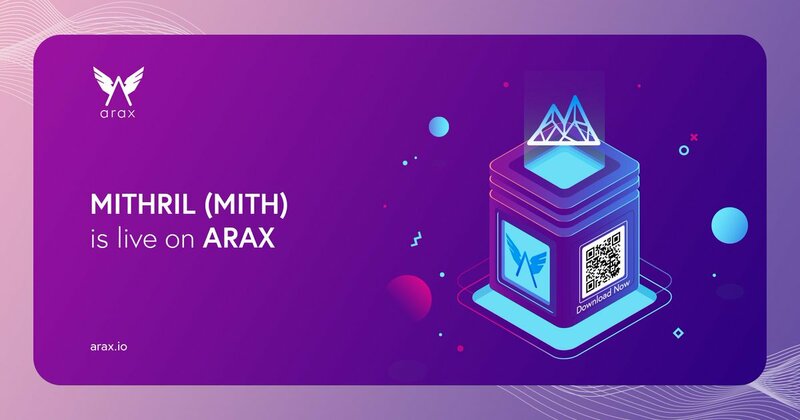 It intends to promote Blockchain for Social Impact BlockSocial and offers free of cost invites to the events it organizes and it also supports the idea of decentralization. BlockSocial has organized two events till date, both in different countries and to serve the same motive i.e. to popularize the idea Blockchain for Social Impact. The first event was held at The SpokeClub, Toronto on 16th March 2018. Toronto was the host to the gathering of around 100 enigmatic entrepreneurs, who listened to the inaugural address by LALA World CEO & Founder – Sankalp Shangari. His address was followed by that of Michael Gord – Founder & CEO, MLG Blockchain., Guiseppe Gori – CEO, Gorbyte Inc., MawaddaBasir – Executive Director, ColliderX, and Cali Haan – Writer & Editor, CryptoChicks. The second event took place at The Address Hotel, Dubai on 17th April 2018. It was another success in a row. Sankalp shared his vast knowledge and understanding of the financial world while enunciating the impact of Blockchain on it. He motivated the attendees to inculcate the spirit of social entrepreneurship since it can be the solution to most of the human problems. LALA World endorses social entrepreneurship through its attempt to bring financial inclusion for the 2.5 billion unbanked across the world. …and that’s why we are going to make it big the third time. We’re thrilled to announce that LALA Word is going to be the proud sponsor of the next event that BlockSocial is going to organize, on 18th May 2018, at 80 Robinson Road, Singapore. 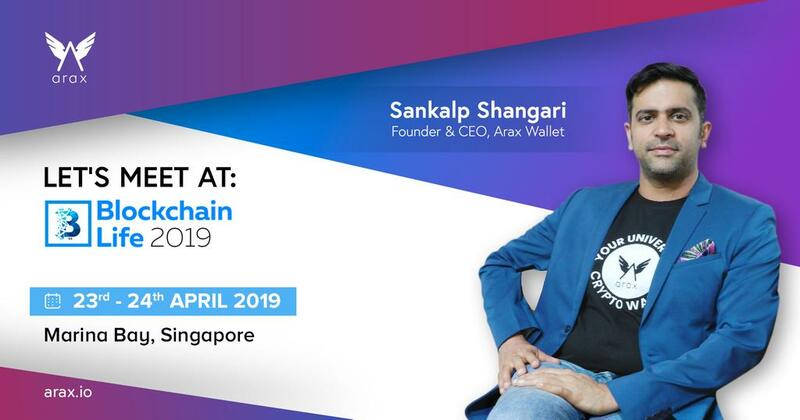 Sankalp would be delivering yet another spectacular address followed by one of the Top 10 Global ICO Advisors Amarpreet Singh – TokenAsia, Rune Evensen -Founder/Visionary Officer at Coss.io & CEO of Exulto Consulting Pvt. Ltd, Bhuwan Arora – CEO and Founder of RTS Network, Nicholas Dimitriou – Associate at John’s Day. These industry veterans will discuss what more can be done for the society utilizing Blockchain. Stay tuned! A couple of partnership announcements are on the way. We are eager to share the information with you and will be in your inbox very soon! Thank you for being a part of this incredible journey. We’re blessed to have your continued support! The poor & unbanked, migrants and refugees, unprivileged & suppressed, have suffered for the longest time. It’s just sad to see the barbaric treatment they suffer sometimes in today’s day and age. Most of this populace is struggling to put bread on the table. They live in inhumane conditions and lack one basic necessity — Digital Identities, that could completely revamp their struggling lives. That, in essence, is what LALA ID is all about. It all begins by identifying this poor population, that is providing digital ID’s and hence our focus on LALA ID, a true global e-passport for everyone, especially the poor. Let’s see how it works and what is the Tokenomics behind this viz-a-viz LALA Tokens. The design of LALA services and products should assure long-term stability of LALA World ecosystem. To purchase premium services or use premium partners services within the LALA Wallet (for example, premium usernames even [email protected], [email protected], etc). LALA ID user-generated bounty viral referral programs a viral referral for the business development plan. We are targeting by growing its user base to millions of people, LALA Wallet and LALA Token aim to earn its status as one of the most versatile and usable digital assets on the market. LALA Wallet had a soft launch recently in India and Malaysia. We have been constantly improving, testing and getting feedback for a proper launch which is planned within the next two months in many more countries than these two alone. Every LALA Wallet download creates a unique LALA ID for every user (“LALA User”). The motivation behind LALA ID and LALA Tokens is to reward users, vendors, suppliers and token holders at every step and capture that on the Chain. This would thereby create liquidity and demand which should ideally help for LALA token price to go up and reap more rewards for token holders. Let’s understand how. Every LALA ID is based on a five-star rating. Think of this as a reputation system using multiple data points, updated live on Blockchain to make sure its transparent, immutable and more importantly, everyone in the system benefits — from payment provider to payment receiver, merchant to a trader, lender to a borrower, banker to a KYC applicant, a global comprehensive one ID approach. This is to bring the next 2 billion into the system who have been so far deprived due to right or wrong reasons. LALA ID has three prime qualities — its broken down to specific details, rewarding to the whole ecosystem — rewarding at every stage and we are now gearing towards decentralized rating system over the months to come. Every LALA ID user gets a default one-star rating upon the first download of the LALA Wallet App and verification of email and phone numbers. This allows for basic services like LALA Pay — utility and bill payments, a service that we will be rolling out in multiple countries in the next three months. Users also receive rewards on the first transaction on LALA Wallet and on each successful referral, all in L+ (LALA Loyalty points) which is directly equivalent to LALA Token, 1:1. We strictly abide by all regulations in each and every country and depending on regulations in your country, you will either see LALA or L+ or both. Customizing for each country is what is taking time, but we have seen the demo and we shall roll out more specific dates in the updated roadmap newsletter later this month. For now, everyone shall see default L+ loyalty points. More information provided by the user earns them more stars and in turn more L+ loyalty points. L+ can be used at various merchants globally which shall also be announced as we integrate them. Eventually, the system is being built in such a white label model where everyone can just take the API / SDK of LALA ID and switch it on. The user will be able to use and redeem L+ in receiving services of respective value in LALA Tokens (at the current price and current Fx exchange rate) or directly convert them into LALA Tokens and store/spend them using our partner crypto wallet (partnership will be announced within 2 weeks). LALA will also continue to buyback these L+ and LALA from various partners as well as exchanges to make sure we always have enough reserves. This serves the dual purpose of allowing them to get some basic services via LALA partners globally, as well as increase the demand and circulation of LALA Tokens. Service providers (merchants, vendors, banks, Institutions, hotels, travel agents etc.) have a lot of monotonous paperwork trail to cover which causes the delay in getting their services. Sometimes they are burdened by over regulations and sometimes sheer lack of simple and efficient tech. This leads to frustration for both users as well as service providers. LALA ID eliminates this concern and will be able to provide services in an easy, fast and efficient way. Service providers / LALA Partners across the globe pay for LALA ID API in annual as well as transactional fee as detailed below, in LALA Tokens. Merchants have to purchase these tokens from the market, other partners and specified locations, which should further increase the demand for tokens. For simplicity sake and for those who are new to the concept, we are going to divide the concept into simple functional units. Since LALA World is a full financial services ecosystem, we are going to release the Tokenomics one by one to fully and clearly understand how each product and its Token Economics are going to be defined. Every product has its own unique Tokenomics and put together defines the whole ecosystem — LALA World. We envisage a world where LAL A Token is used to transact as a single mode of payment, especially the unbanked and unprivileged market — a 2 billion population that is yet to be financially included. Today we will focus on LALA ID Tokenomics as it is the basis of LALA Wallet and each LALA Product. Investors & Bounty: can earn more LALA Tokens from exchanges to promote LALA ID adoption across the globe where they are by introducing merchants & Partners to the concept of LALA ID. Free rewards in LALA (best Community, Best projects, best LALA ID ratings, fastest, quickest etc., will all be there as ad hoc promotions to promote LALA ID. The Users and First users must be your best ambassadors. We are also very aware and always calculative about the overall Token pool and how it’s going to pan out till 2020. It is very essential for LALA World more than anyone that we have a proper Tokenomics calculation based on various current and anticipated products. The receiving and giving away token models, and most importantly the “Sales” (read as partnerships) to spread Token usage should be very clear. We are considering each and every flow as a product, partnerships, network, and geographies are growing. Once we send out all products unit economics separately over next 2 weeks, we shall also release a more comprehensive Tokenomics model for the entire LALA World with full Token usage over next two to three years, every quarter. That should also help us to use different mechanisms to regulate the total LALA Token pool. Ideally, we want to hold this pool optimally, (not big enough neither too small volumes), regulating it with the number of promotions, referrals, “Sales”, partnerships etc. and Active Users needs to derive Conversion metrics. LALA ID rating system is AI and ML-based and now we are further planning and moving towards a decentralized rating system with many more features as described below. It is similar to many transactional or identity-based reputation systems, plus advanced AI and ML, moving towards a pure peer to peer decentralized fashion. LALA ID is your real-world identity which signifies everything you do. We use a distributed hash table (DHT) to connect peers, and a public key cryptography is used to generate a global LALA ID identifier, via a random number (2²⁵⁶), which is the private key of the User, representing a pseudonymous node on the network. Since the Private keys are long & complex, we are working on Twitter style self-generating usernames that act as a memorable handle (e.g. @lala). We have also introduced LALA ID as a login ID used along likes of Facebook, Twitter, Login with LALA. If a user registers their LALA ID handle, you will be able to search for that identity by that handle in the LALA Wallet or LALA Partner system. With our global expansion, current processes and development positioned in sync, we couldn’t be more excited for what’s to come as we continue to work tirelessly building the single-most powerful and trustworthy global ecosystem — Your LALA Word! We’re truly humbled and grateful for the continued support from our LALA family, without whom this wouldn’t have been possible. What is LALA LENDS ? LALA Lends (“LLL”) is the micro-lending & micro entrepreneurship arm of LALA World’s Global Financial Ecosystem. LALA Lends is a digital lending platform on Blockchain that enables peer-to-peer (“P2P”) and direct lending. With one of the strongest pool of partners globally, we leverage on existing infrastructure of these partners to offer local credit scoring, community reach, banking services, loan insurances, guarantor support, and much more. Our goal is to create a LALA community built on trust, compassion, and accountability while serving the needs of lenders and investors to financially reach 2 billion plus individuals who are financially excluded. In doing so, our ultimate vision is to make them self-sustainable, grow local GDP’s, provide them financial education, and eliminate their dependency on brokers and middlemen. LID and LS work as a base with state of the art biometric and scoring algorithms using Machine learning and AI, allowing us to effectively assess borrower’s profile and give them a basic rating as soon as they log onto the platform. Everyone realizes today that Blockchain technology has the ability to eliminate centralized intermediaries with a decentralized system. It solves network security and transparency issues that exist with today’s centralized system infrastructure. However, today’s credit system has been a boon for the capitalists and banks that control it. It does not work for the unbanked due to too many controls, with little or no credit history. The present system doesn’t empower young adult population, like Millennials and Generation Xers, who are unable to open bank accounts, or own credit cards since they do not have credit or savings. Roughly, 2 billion plus unbanked have no access to this formal credit. Even the salaried ones find it tough sometimes due to lack of collateral. Verified users with valid LALA ID’s and LALA Scores are able to request loans (borrowers) or pledge assets (lenders) into an order matching internal exchange – LALA X. This allows users to input their target amounts, interest, tenor, LID, LS, etc. and even allows some flexibility in terms of variables. Once the order matches between the borrower and a lender, a smart contract is generated between them. If both parties sign the agreement, ‘amount’ is transferred from the lender to the borrower wallet. Borrower can transfer that into his bank account. Matching algorithm supports single Lender to single Borrower (Direct P2P) loans, as well as multiple Lenders to a single Borrower (Multiple party P2P) loans. LALA’s AI engine will monitor the performance on these loans, when they need to be repaid, and limits on how much can be borrowed. L+ Loyalty points or LALA Tokens on timely completion. We have not decided how many L+ as we are still building this and should be ready for beta release in about two months. Concrete dates will be released in the next roadmap update. L+ Loyalty points or LALA Tokens if they are using other Wallet services and have enough L+ to avail discounts on new loans. Referral Rewards for introducing other borrowers or recommending or guaranteeing other’s loans that pay timely. a. Guarantors are rewarded by participating in borrower’s loans via LALA Tokens and upon full repayment. b. Investors / Lenders get paid higher interest for taking additional risk. c. Borrower gets a chance to pay in full on time and improve their LALA Score for further loans. d. A new Borrower is able to start his / her credit history fresh. 1. Investor is rewarded in LALA Tokens for participating. 2. Investor will also be covered by LALA World via insuring part of the underwriting. If default occurs, LALA Lends will cover X% of the losses and decrease the LALA score of the defaulting party accordingly. Borrowers receive credit for each loan they successfully repay or are in good standing. A default lowers their credit rating. 3. Investors can also choose unbanked projects of their choice and nominate projects globally where LALA community can then vote to participate. This could act as CSR activity of their choice where LALA will actively participate. 4. LALA referrals and promotional campaigns from time to time. LALA’s ultimate aim is to make everything peer to peer, decentralized in the true Blockchain spirit. However, we are also aware that this change will not happen overnight. We need to prepare ourselves for achieving this goal. That is why LALA Lends is implementing a credit system that scores you based on traditional parameters initially, includes social parameters as you transact more and then continues to add peer-to-peer credit appraisals to improve your credit ratings. Starting with each user’s creditworthiness based on their traditional public histories and digital identity scores from other partners and third-party providers, LALA will also include user uploaded data and past transaction histories. It will process that data into an on-chain hash score representing the algorithms creating comprehensive LALA Scores which then is available to the LALA member community. Different pieces of information will have different weights toward influencing an individual’s LALA Score. LALA members can also apply to receive credit from other trustworthy network members, depending on their transaction histories and information attached to their identity profiles. Additional certified validators from anywhere around the world can lend their credit to non-creditworthy members. Those with extra capital can earn returns by lending, and those needing capital can easily find it among community members. Lenders can join a lending pool that dynamically lends to borrowers. In this way, lending pools mitigate risk because they are diversified over several different loans, and they can receive higher returns. The value of such a distributed LALA Score can be anticipated from the fact that so much of the world is unbanked and unable to access financial institutions. A simple credit score can allow people to access many more resources than they currently have, such as loans for large purchases, better financing and accessibility to renting property. Because of the limited reach of financial institutions worldwide, Blockchain based platforms can become people’s trusted financial institution and provide secure financial services to those without access to traditional systems. Lenders get access to a wider pool of borrowers using a centralized score and platform, which was hitherto unavailable or difficult to access, providing them a better risk adjusted return on their capital. LALA Score varies between 1 to 10 and the score is updated after each transaction. If a repayment by a borrower fails, X points are deducted. Otherwise, Y points are added, plus Z points per dollar value of each successful transaction. The formula for determining the amount of credit and other LALA Score parameters would be made transparent and open source as time goes by. It will be centrally controlled by LALA in the beginning. A new LALA member with no transaction history or any financial documents or identification will have a baseline credit rating of 1, and credit could not be extended to them. New members can develop their credit by transacting with other members in the network. Borrowers and Lenders can allocate their own Interest rates, amounts and tenors on the LALA Lends internal lending exchange. However, LALA Lends platform will automatically calculate Transaction Fees based on the member’s credit rating previously determined. Initial transaction fee will be fixed and based on local interest rates. Thereafter, it varies with transaction history and real-time LALA Score. All members will have the ability to earn back this fee in full or partially by paying back their dues on time, pre-paying all their dues, transacting more often on the wallet and various other promotional schemes from time to time. These interest rates are typically based on LS and other loan parameters. Borrowers with lower LALA will be charged a higher rate. This rate continues to change over time as the LALA AI engine learns more with higher number of transactions and more number of users with different LS ratings and different loan terms. Rates will also vary between countries as we expand globally. Higher risk countries might carry much larger risks and hence higher interest rates. Initially P2P lending will be restricted to intra-country borrowers and investors till the time we can clear all regulatory hurdles to expand this to inter-country participation between borrowers and lenders – our ultimate goal in true Blockchain spirit. LALA is continuously improving the scoring algorithms and AI engine on top. Every loan is rated individually for the borrower as well as for the lender. For each current loan in good standing or fully paid loan, the borrower receives X points plus Y points for each dollar in the loan. Also, some additional points get added in borrower’s LALA Score for each fully paid loan. If a loan defaults, points are deducted from the borrower’s LALA Score. LALA Exchange also allows P2P loans with multiple parties extending credit to a single borrower, that is partial matching of loans is allowed if the user so chooses to. Once matched, LALA platform will arrange a smart contract with multiple lenders to consolidate funds for a single loan to an individual. In this way, multiple lenders can limit their individual default exposure while still being able to extend loans. A many to one type loans have considerable advantages over a one to one loan. These loans mitigate risk in case of a default, they increase participation of small lenders, add flexibility and scalability, as well as reduce abandonment risk. L+ and LALA are as good as cash. The idea is not to have multiple loyalty points that cannot be cashed. Rather have a system where everyone is equally incentivised. Allow us to explain how. Every LALA user has a unique LALA ID and earns L+ at every step. These L+ can be immediately redeemed inside the LALA Wallet App itself to pay for goods and services like LALA PAY, LALA TRANSFER and LALA LENDS, and host of other services at global merchant and business locations. We will start announcing the details of the LALA partners where you can use L+ and LALA from next week. Few major partnerships will be announced in the month of May and that should become an ongoing affair as we expand globally. • LALA ID user generated bounty viral referral programs, a viral referral for business development plan. By growing its user base to millions of people, LALA Wallet and LALA Token aims to earn its status as one of the most versatile and usable digital assets in the market. Service providers (lenders, financial institutions, merchants, vendors, banks, Institutions etc.) have a lot of monotonous paper work trail and a lot of risk to cover when it comes to Lending. These partners can use a combination of LALA Wallet transactional data stored under unique LALA ID’s on Blockchain as well as use our state of the art LALA Score to underwrite loans, conduct Due Diligence, Approve KYC etc. with a single click. Sometimes they are burdened by over regulations and sometimes they simply lack efficient tech. This leads to frustration for both users as well as services providers. LALA ID & LALA Score eliminates this concern and will be able to provide services in an easy, fast and efficient way. Service providers / LALA Partners across the globe pay for LALA ID & LALA Score API’s annually as well as in the form of transactional fee in LALA Tokens. These details will be realized close to the public launch. Merchants have to purchase these tokens from the market, other partners and specified locations, which should further increase the demand of tokens. Within our partner Crypto Wallet (to be announced in next 2 weeks), L+ can be converted into LALA and used for Borrowing / Lending – LCBL that allows users to leverage their crypto assets to secure cash loans in their nominated currencies. 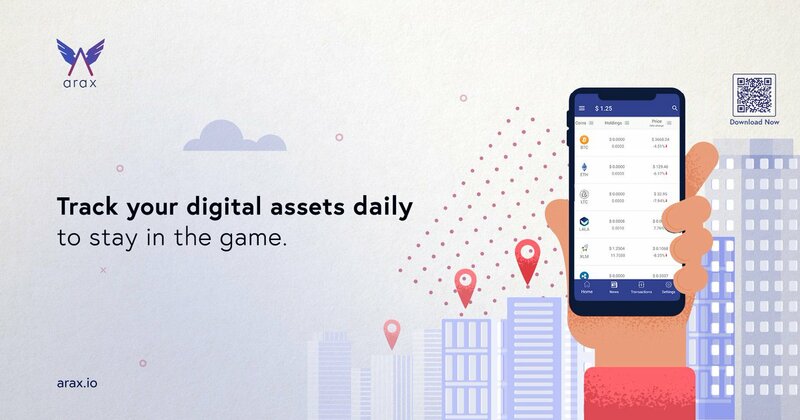 Liquidity of crypto assets is a huge problem today and LALA Lends aims to solve that while maintaining your positions. LALA is creating white labelled solutions of LCBL for partners’ crypto wallet, financial exchanges and for other financial institutions. LCBL allows individuals, institutions to directly underwrite these crypto based loans, while giving investors the ability to safely lend against several crypto assets. Crypto assets underlying each loan are stored in a fully audited, ultra-secure multi-signature architecture throughout the life of the loan. However, we will only provide these services in Wallets and countries that abide by current regulations in those countries. All contracts between borrowers and lenders are real-time Smart Contracts that utilize prices from multiple global data providers like ShapeShift and CryptoCompare while simultaneously tracking the borrower’s loan balance. All loans receive automated margined calls if the loan value falls below a certain threshold. If margins are not met, automatic liquidation of the collateral occurs and distributes the proceeds to various parties as per the conditions written in the Smart Contract. Institute/organizations need to pay for this white labeled solution in LALA Tokens. LALA Token will be the default collateral token on this platform. The Network Effect – LCBL marketplace offers borrowers access to affordable credit and allows individual & institutional lenders the opportunity to lend against a new class of assets. As both sides of the equation grow, the advantages (reduced risk, lower cost) scale accordingly, attracting even more borrowers and lenders. The increased participant pool generates competitive interest rate dynamics and data, which is used to improve the effectiveness of LCBL’s risk models. Financial Inclusion – A certain percentage of total sales fee is set aside for LALA’s ultimate goal of making “Human Lives Better.” This fee will be used to develop community projects and used to distribute LALA Tokens back to grassroots level. This allows us to provide lines of credit for LALA ID users who have no formal background or credit, the migrants, the unbanked, even the poor students who are unable to get credit as a result of social exclusion. Based in various geographies, LALA will act as a Micro Finance Institution with branches in Malaysia, India, Dubai, Bangladesh to begin with. We are also expanding quickly into other countries and will keep you posted in our monthly roadmap updates going forward. In each market, we will partner with existing micro finance companies and existing money lenders. While we see local microlenders trying to bring about financial inclusion, they do not have access to technology and global capital, making them non-scalable, inefficient and hence expensive for the borrowers. 1. State of the art Blockchain based lending platform – this includes LALA ID and LALA Score along with LALA Lends. 2. Capital: LALA Lends will provide capital to existing lenders and connect local and global institutional lenders. c. Social Impact – Using our own distribution network as well as partners reach for facilitating assistance in education, health care support & other income generating activities at community levels. 1. For sharing his LALA Score with 3rd parties, User has to pay certain L+ or LALA (say 1 LALA for discussion sake) to platform as a facilitation fee. And if 3rd parties (Bank, NBFC etc.) want to see the users LALA Scores, they need to pay LALA Score API annual fee as well as an incentive fee to user and facilitation fee to LALA World on each transaction, all in LALA Tokens. 3rd parties will purchase these tokens from the market, which will further increase the demand for tokens. 2. LALA Partners, 3rd parties will need to pay in LALA Tokens for purchasing LALA backed lending white label solution and LALA Tokens will be the default collateral token for that platform. 3. Borrower is rewarded in LALA Tokens on full timely EMI payment and other rewards as detailed above. 4. Investor is rewarded in LALA Tokens for participating and other rewards as detailed above. 5. Guarantors are rewarded by participating in borrower’s loans via LALA Tokens and upon full repayment. Membership in the LALA network carries certain privileges. Primarily, a democratized voting system will be eventually implemented. LALA will also implement a referral rewards system. Bringing new members into the network will reward the referring party with increased LALA distributions and decreased transaction fees for a period of time. 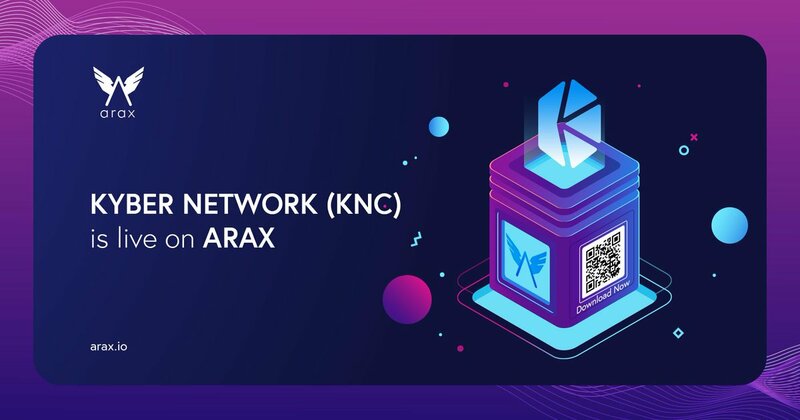 The rewards can be increased and extended depending on the conduct of the member the referring party brings into the network. For example, recruiting an active lending member with high transaction frequency will result in heavily reduced transaction fees, versus bringing in a member who does not transact in the LALA network, which will not lead to much fee reduction. Large LALA and other L+ holders will be granted discounts on products and services within the LALA Ecosystem, with largest holders receiving the biggest rewards relative to smallest holders. LALA plans to support the top 20 leading Blockchains and enable members to benefit by offering similar services on other platforms. Blockchain comes as a blessing in disguise for LALA Lends. Global lending market needs fixing. There is a clear inequality between various countries in terms of access to credit and also varied interest rates. This must be eradicated in a true global economy. 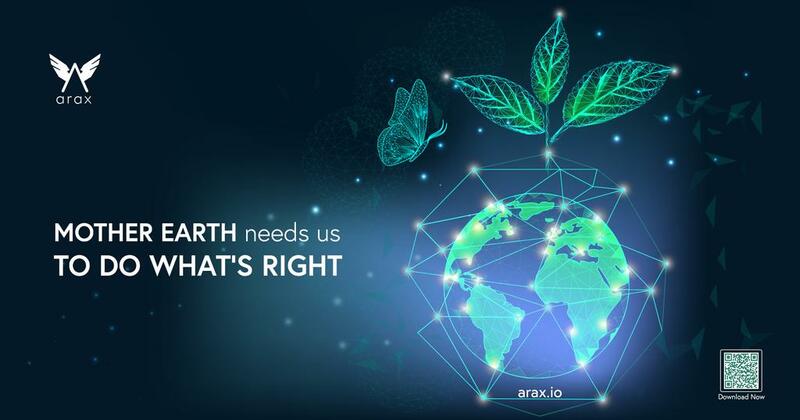 We are working relentlessly to build the single-most powerful and trustworthy global ecosystem. We believe that we are on track, as each day at LALA we make new strides in our vision and come closer to becoming a global phenomenon. Truly humbled and grateful for the continued support from our LALA family, without whom this wouldn’t have been possible. How LALA World Brought Smiles on the Faces of the Underprivileged! The greatest power is not in ruling the world but in spreading smiles and love. Especially to those who are unfamiliar with the kindness that the world has to offer. Each one of us is capable of becoming powerful; all we need to do is believe in the strength of giving. LALA World understands the importance of making a difference in the lives of the underprivileged and is determined to be a helping hand in all the ways it can. LALA World is pleased to share the incredible experience of the donation drive that we organized in April, in Delhi NCR – India in partnership with The Clothes Box Foundation. It was for the underprivileged worker-class who struggles tremendously to earn even a single bread in a day for their family. After all, serving the needy never harmed anyone. The distribution drive turned out to be a success as more than eleven hundred workers showed up. The passionate team of CBF & LALA World along with our Chief Operating Officer (COO) – Mr. Ranjit Kumar distributed around three thousand clothes that included a pair of t-shirt and denims. It was quite a task to personally attend thousands of workers but our team along with Clothes box Foundation managed to greet each one of them with a smile. Witnessing the spark in the eyes of workers felt like a great accomplishment and it was definitely one of the best days at work. They took back clothes with them whereas our team took back the overwhelmed hearts and an even more dedicated vision of spreading millions of such smiles in the near future. With this small initiative, we not only made a little difference in the lives of underprivileged workers but also took a step forward in fulfilling the vision of LALA World i.e. to make the human lives better. We want to enable and empower the unbanked and underprivileged through the revolutionary Blockchain technology. As there are many who are affected by the present situation and regulations, LALA intends to reduce and eventually vanish the suffering due to the inefficiencies of the present day banking system. The focus is to globally help the unbanked, migrants and underprivileged, who suffer a huge amount of problems majorly in terms of finance. Stay connected with us through our community on Telegram and our social media pages to get the latest information on the project developments. We’re blessed to have your continued support and Thank you for being part of this incredible journey! According to the Migration and Remittances Factbook 2011, more than 215 million people live in a country other than the one they were born in. Such a huge number of migrant workers also send a large amount of money as remittance back home to their families in their country. In effect, more than $440 billion is moving around the world, the result of the hard work and sacrifice of migrants. That migrants face tremendous amounts of problems would be a gross understatement. Apart from the obvious problems of settling in an alien land with curious customs, culture and different people comes the overbearing hurdle of financial non-inclusion. Getting these migrants into the financial ecosystem mainstream is a difficult proposition. Migrants often send a majority of their earnings back home to their families and to do that, they have to rely on intermediaries. Intermediaries like remittance platforms and banks often charge hefty transaction fees or commissions. The migrant population is suppressed in terms of the remittance facilities that they have available for them. This suppression needs to end and the only way to do this is to empower the people at both the ends of the transfer. The uplift of these people is the driving force behind the development of diversified solutions through the use of technology and the network of LALA World. The solution that LALA World has developed for tackling the pertinent hurdles involved in global remittances is LALA Transfer. 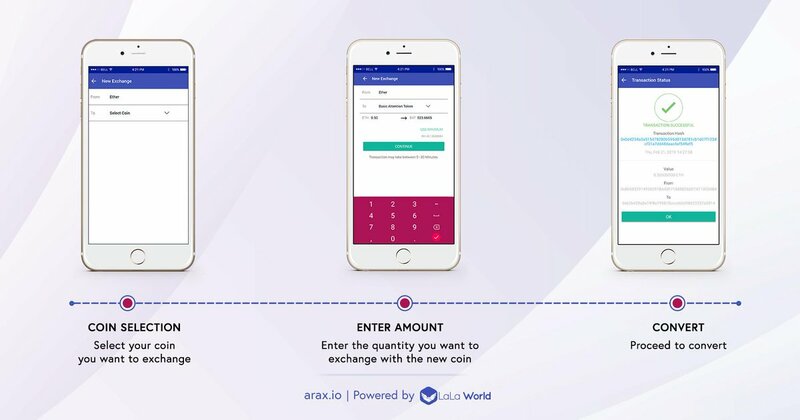 It is one of the most comprehensive remittance solutions available with a mix of traditional remittance aggregators (they are not going anywhere soon), peer-to-peer local and global transfer of funds and stellar Blockchain technology, all enabled on a single robust platform – LALA Wallet, a global Wallet for all your financial needs and which will help the decentralize the current financial ecosystem. LALA World has a vision to enable and empower the unbanked through the revolutionary Blockchain technology. By ensuring that the people who have been at a disadvantage owing to the current regulations and scenario are benefited by their services, LALA World wants no one to suffer due to the inefficiencies of the current banking system. The philosophy of LALA World is to reshape the financial ecosystem by making it decentralized (eventually) using the Blockchain technology. LALA Transfer is one such product. By using LALA Transfer, a migrant will have peace of mind and his family will be able to enjoy a better life owing to the increase in the remittance resulting from lower transaction and exchange fees. The migrant and his family will be secure from any misappropriations in the amount of money transferred and there will be no need for dealing with any agent or other such intermediary. LALA Transfer, along with a host of LALA World products, will definitely bring families closer and promote financial transparency among them. Today, we have the pleasure of announcing an exciting new addition to our team of innovators — our Chief Technology Officer & Business Head-India – Mr. Shailendra Gupta. Shailendra is a veteran tech executive having over two decades of diversified experience in IT/Telecom/Ecommerce/IoT/Fintech and has immaculately handled multiple Technology & Business functions in large global organizations and startups. He will be an invaluable member of LALA World’s leadership team, helping to drive our vision for innovation. He is going to shape the company and product strategy, leading the development of LALA’supcoming product and technology solutions that further advance the capabilities of LALA partners. During his last association with RechargeItNow.com as CTO & VP-Business development, he has led the development of technology & business functions. Shailendra spearheaded the business (B2C, B2B & white label) which managed to rake in excess of USD 100 million. During his journey, RechargeItNow.com had attained major market share in Recharges & Bill payment and was awarded as the “Fastest Technology Company” by Deloitte. Prior to that, he was the engineering head – ASPAC at Verizon Business, a global telecom company and had handled large projects (>20M) across Asia. A strong technology enthusiast and with his always learning attitude, he is willing to take on new challenges everyday. Shailendra, our Chief Technology Officer & Business Head is an avid music lover and has achieved many accolades as a state level badminton player. He believes that fitness is key to performance and understands the joy and complexity of team work. We are tremendously excited to work beside such an experienced and visionary innovator who is now our CTO & Business Head. Thank you all for your continued support, and being a part of this incredible journey! There is an old saying that, “Opportunities to interact with people who appreciate your efforts should never be wasted.” Well, this one always resonates with LALA and the team makes sure that our CEO & Founder Sankalp Shangari never misses an opportunity to interact with the Blockchain Community. Stellar.org, our awesome partner on cross border remittance and LALA would come together once again to showcase the LALA World Story and our development journey. Its a Stellar meet-up for Blockchain and FinTech enthusiasts at the Future Accelerators Stadium, Dubai – Tuesday, 1st May 6:00pm onwards. We are expecting 200 plus audience and explain the ways in which LALA is trying to bring about a social revolution. Stellar meet-up would also feature a fire side chat between Mr. Marwan Alzarouni, Founder, OTC Supply and Ms. Lisa Nestor, Stellar. NEC Payments and Mobius are among the other esteemed partners of LALA & Stellar who have been invited to share their journey so far. Events like Stellar meet-up, not only provide the attendees an opportunity to learn from the successful used cases and help better their understanding about this breakthrough technology but also help the budding entrepreneurs find mentors, network and talk about their ideas with the like minded counterparts. The event will be at the prestigious smart Dubai Accelarators. Please feel free to reach out to Sankalp for any LALA update or any general blockchain chat. Join out Telegram community to get more updates about LALA World. Stellar is an important ally for LALA as we are passionate and pushing for a change that has only one mission – Making Human Lives Better! It’s time to announce yet another LALA of the Week. Started a month back its the 5th title going out. This is an effort to recognize those members of the community who continuously mark their presence, with immense support and efforts to maintain the flow of conversation on our telegram channel. Some have put forward their knowledge of cryptos & exchanges and helped fellow community members while some have managed the to keep up with the project related conversation flow on the channel. Our “LaLa of the Week” is – “Max”, who has kept the energy of the community flowing at “All Time HIGH” with his crazy talks and incredible comic timing. He has an impeccable sense of humor; being an active member of the community he has eased out situations when the discussions were getting tense. He has acted like a guardian spirit and extinguished any possible chances of clash between members with his skills as an excellent communicator. We wish him the best and hope he continues to keep up the good work. He has proved to be a strong pillar for LALA World Telegram community, who comes out with funny jokes and lot of smiles. Look forward to next LALA of the Week and more participation, insights and ideas from our lovely family. We at LALA World are blessed to have a community like you. Thank you for your continued support and for being part of this incredible journey! We extend a very warm welcome to Karan who has joined LALA as the Global Head of Lending. Located in Singapore, he has already Embedded his mark in establishing the global lending arm of LALA World – LALA Lends. Karan has over 15 years of experience in financial sector, the majority of it in the asset management and credit industry. He was the founder of a large credit business in India (NBFC), managed portfolio of credit investments in Asia and Americas. Further, he has an incredible experience of being part of two successful credit funds – Mason Capital and Puma, in New York, with a focus on high yield and special situations credit investments. Our new Global Head of Lending – Karan brings an extensive credit and investment experience across global markets, an excellent ability to interpret market trends and has a detailed understanding of financial products for banks and lenders. He has a unique combination of experience as an investment professional, an entrepreneur with a deep understanding of credit and lending space along with the true insights about the operational issues and challenges, which will be a great advantage in growing a loan book, building partnerships and mitigating risk. Mr. Bhatia, LALA World’s Global Head is a Chartered Financial Analyst (CFA), has an MBA from New York University, Stern School of Business and an MS in Computer Science from the University of Southern California. We believe that we are on track, as each day at LALA we make new strides in our vision and come closer to becoming a global phenomenon, Now with our New Global Head of Lending the goal seems closer.